Special NSREC 2018 Issue of the IEEE TRANSACTIONS ON NUCLEAR SCIENCE Comments by the Editors . . . . . . . . . . . . . . . . . . . . . . . . . . . 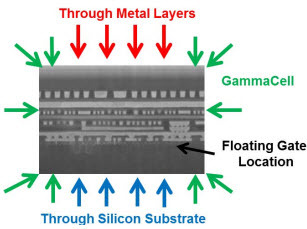 Characterization and Modeling of Gigarad-TID-Induced Drain Leakage Current of 28-nm Bulk MOSFETs . . . . . . . . . . . . . . . . . . . . . . . . . . . . . . . .
Total Ionizing Dose Effects in 3-D NAND Flash Memories . . . . . . . . . . . . . . . . . . . . . . . . . . . . . . . . . . . . . . . . . . . . . . . . . . . . . . . . . . . . . . . . . . . . .
Ionizing Radiation Effects Spectroscopy for Analysis of Total-Ionizing Dose Degradation in RF Circuits . . . . . . . . . . . . . . . . . . . . . . . . . . . . . . . . .
Failure Thresholds in CBRAM Due to Total Ionizing Dose and Displacement Damage Effects . . . . . . . . . . . . . . . . . . . . . . . . . . . . . . . . . . . . . . . . . . Effects of Gamma Irradiation on Magnetic Properties of Double-Interface CoFeB/MgO Multifilms . . . . . . . . . . . . . . . . . . . . . . . . . . . . . . . . . . . . . . . Influence of Halo Implantations on the Total Ionizing Dose Response of 28-nm pMOSFETs Irradiated to Ultrahigh Doses . . . . . . . . . . . . . . . . . . . .
Effect of Proton Radiation on Ultrawide Bandgap AlN Schottky Barrier Diodes . . . . . . . . . . . . . . . . . . . . . . . . . . . . . . . . . . . . . . . . . . . . . . . . . . . . . . Evaluation of Radiation Effects in RRAM-Based Neuromorphic Computing System for Inference . . . . . . . . . . . . . . . . . . . . . . . . . . . . . . . . . . . . . . Radiation Hardness Comparison of CMOS Image Sensor Technologies at High Total Ionizing Dose Levels . . . . . . . . . . . . . . . . . . . . . . . . . . . . . . .
Radiation-Induced Effects on Fiber Bragg Gratings Inscribed in Highly Birefringent Photonic Crystal Fiber . 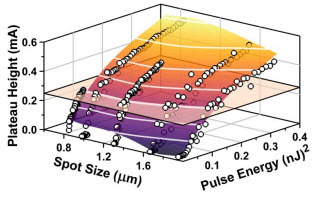 . . . . . . . . . . . . . . . . . . . . . . . . . . . . . .
Total Ionizing Dose Effects in 70-GHz Bandwidth Photodiodes in a SiGe Integrated Photonics Platform . . . . . . . . . . . . . . . . . . . . . . . . . . . . . . . . . Comparative Study of Cryogenic Versus Room-Temperature Proton Irradiation of N-Channel CCDs and Subsequent Annealing . . . . . . . . . . . . . .
Directional Dependence of Co-60 Irradiation on the Total Dose Response of Flash Memories . . . . . . . . . . . . . . . . . . . . . . . . . . . . . . . . . . . . . . . . .
Total Dose Testing Methodology for Bipolar Circuits Operating in the Jovian Radiation Environment . . . . . . . . . . . . . . . . . . . . . . . . . . . . . . . . . . . . .
Dose-Rate Dependence of the Total-Ionizing-Dose Response of GaN-Based HEMTs . . . . . . . . . . . . . . . . . . . . . . . . . . . . . . . . . . . . . . . . . . . . . . . .
Impacts of Proton Radiation on Heavy-Ion-Induced Single-Event Transients in 65-nm CMOS Technology . . . . . . . . . . . . . . . . . . . . . . . . . . . . . . . Methodology for Identifying Radiation Effects in Robotic Systems With Mechanical and Control Performance Variations . . . . . . . . . . . . . . . . . . . .
Multiscale Modeling of Total Ionizing Dose Effects in Commercial-off-the-Shelf Parts in Bipolar Technologies . . . . . . . . . . . . . . . . . . . . . . . . . . . . . .
Temperature-Switching During Irradiation as a Test for ELDRS in Linear Bipolar Devices . . . . . . . . . . . . . . . . . . . . . . . . . . . . . . . . . . . . . . . . . . . . .
Strategies for Removing Common Mode Failures From TMR Designs Deployed on SRAM FPGAs . . . . . . . . . . . . . . . . . . . . . . . . . . . . . . . . . . . . . Selective Hardening for Neural Networks in FPGAs . . . . . . . . . . . . . . . . . . . . . . . . . . . . . . . . . . . . . . . . . . . . . . . . . . . . . . . . . . . . . . . . . . . . . . . . . Using MRED to Screen Multiple-Node Charge-Collection Mitigated SOI Layouts . . . . . . . . . . . . . . . . . . . . . . . . . . . . . . . . . . . . . . . . . . . . . . . . . . . .
Best Practices for Using Electrostatic Discharge Protection Techniques for Single-Event Transient Mitigation . . . . . . . . . . . . . . . . . . . . . . . . . . . . . Evaluating the Impact of Repetition, Redundancy, Scrubbing, and Partitioning on 28-nm FPGA Reliability Through Neutron Testing . . . . . . . . . . . . 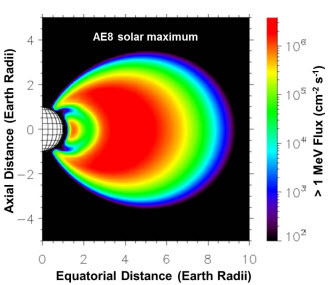 Using the Galileo Solid-State Imaging Instrument as a Sensor of Jovian Energetic Electrons . . . . . . . . . . . . . . . . . . . . . . . . . . . . . . . . . . . . . . . . . . Correlation of Single-Board Computer Ground-Test Data and On-Orbit Upset Rates From the Gaia Mission . . . . . . . . . . . . . . . . . . . . . . . . . . . . . .
SRAM Dosimeter for Characterizing the TRIUMF Proton and Neutron Beams . . . . . . . . . . . . . . . . . . . . . . . . . . . . . . . . . . . . . . . . . . . . . . . . . . . . .
An SRAM-Based Radiation Monitor With Dynamic Voltage Control in 0.18-μm CMOS Technology . . . . . . . . . . . . . . . . . . . . . . . . . . . . . . . . . . . . .
A Low-Power, Real-Time Displacement Damage Dosimeter . . . . . . . . . . . . . . . . . . . . . . . . . . . . . . . . . . . . . . . . . . . . . . . . . . . . . . . . . . . . . . . . . . . .
Dosimetry Mapping of Mixed-Field Radiation Environment Through Combined Distributed Optical Fiber Sensing and FLUKA Simulation . . . . . . .
X-Rays, γ -Rays, and Proton Beam Monitoring With Multimode Nitrogen-Doped Optical Fiber . . . . . . . . . . . . . . . . . . . . . . . . . . . . . . . . . . . . . . . . .
TID Evaluation System With On-Chip Electron Source and Programmable Sensing Mechanisms on FPGA . . . . . . . . . . . . . . . . . . . . . . . . . . . . . . .
SOI Thin Microdosimeter Detectors for Low-Energy Ions and Radiation Damage Studies . . . . . . . . . . . . . . . . . . . . . . . . . . . . . . . . . . . . . . . . . . . .
Estimating Terrestrial Neutron-Induced SEB Cross Sections and FIT Rates for High-Voltage SiC Power MOSFETs . . . . . . . . . . . . . . . . . . . . . . . . Radiation Response of AlGaN-Channel HEMTs . . . . . . . . . . . . . . . . . . . . . . . . . . . . . . . . . . . . . . . . . . . . . . . . . . . . . . . . . . . . . . . . . . . . . . . . . . . . .
Optimizing Optical Parameters to Facilitate Correlation of Laser- and Heavy-Ion-Induced Single-Event Transients in SiGe HBTs . . . . . . . . . . . . . The Effects of Temperature on the Single-Event Transient Response of a High-Voltage (>30 V) Complementary SiGe-on-SOI Technology . . . . . .
Dopant-Type and Concentration Dependence of Total-Ionizing-Dose Response in Piezoresistive Micromachined Cantilevers . . . . . . . . . . . . . . . . Effects of Proton Radiation-Induced Defects on Optoelectronic Properties of MoS2 . . . . . . . . . . . . . . . . . . . . . . . . . . . . . . . . . . . . . . . . . . . . . . . . .
A New Analytical Tool for the Study of Radiation Effects in 3-D Integrated Circuits: Near-Zero Field Magnetoresistance Spectroscopy . 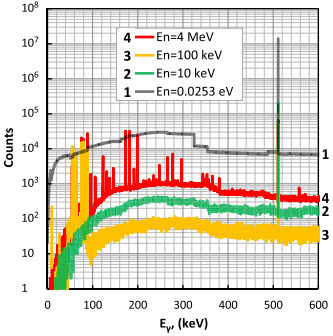 . . . . . . . .
Understanding the Average Electron–Hole Pair-Creation Energy in Silicon and Germanium Based on Full-Band Monte Carlo Simulations . . . . .
SEFI Modeling in Readout Integrated Circuit Induced by Heavy Ions at Cryogenic Temperatures . . . . . . . . . . . . . . . . . . . . . . . . . . . . . . . . . . . . . .
Ultraenergetic Heavy-Ion Beams in the CERN Accelerator Complex for Radiation Effects Testing . . . . . . . . . . . . . . . . . . . . . . . . . . . . . . . . . . . . . . Heavy Ion Transport Modeling for Single-Event Burnout in SiC-Based Power Devices . . . . . . . . . . . . . . . . . . . . . . . . . . . . . . . . . . . . . . . . . . . . . . .
Effect of Gamma-Ray Energy on Image Quality in Passive Gamma Emission Tomography of Spent Nuclear Fuel . . . . . . . . . . . . . . . . . . . . . . . . . Improvement of a PET Detector Performance by Setting Reflectors in Parallel With PMT Face . . . . . . . . . . . . . . . . . . . . . . . . . . . . . . . . . . . . . . .
La- and La-/Ce-Doped BaF2 Crystals for Future HEP Experiments at the Energy and Intensity Frontiers Part I . . . . . . . . . . . . . . . . . . . . . . . . . . .
La- and La-/Ce-Doped BaF2 Crystals for Future HEP Experiments at the Energy and Intensity Frontiers Part II . . . . . . . . . . . . . . . . . . . . . . . . . .
On the Instantaneous Dose Rate and Angular Dependence of Monolithic Silicon Array Detectors . . . . . . . . . . . . . . . . . . . . . . . . . . . . . . . . . . . . . . Compact and Effective Detector of the Fast Neutrons on a Base of Ce-doped Gd3Al2Ga3O12 Scintillation Crystal . . . . . . . . . . . . . . . . . . . . . . . .